Last night at 5:30pm, the USRFD was dispatched to a 5 vehicle accident on Route 17 South. Asst Chief Vierheilig (IC) and Rescue 1242 (OIC FF McGuire) responded. 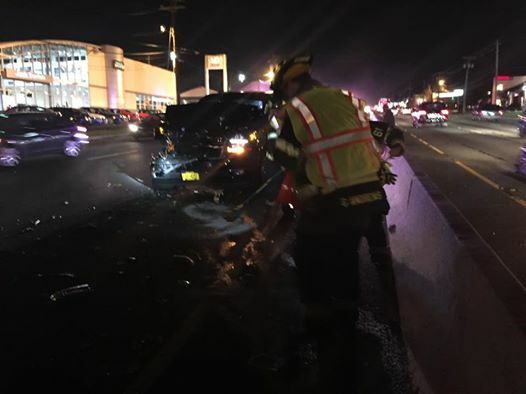 Crews used speedy dry on a fluid spill from one of the vehicles and firefighters assisted with debris cleanup and supplied scene lighting using the light tower on the rescue. 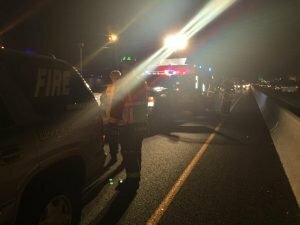 Once the vehicles were towed from the scene, all units returned to HQ.